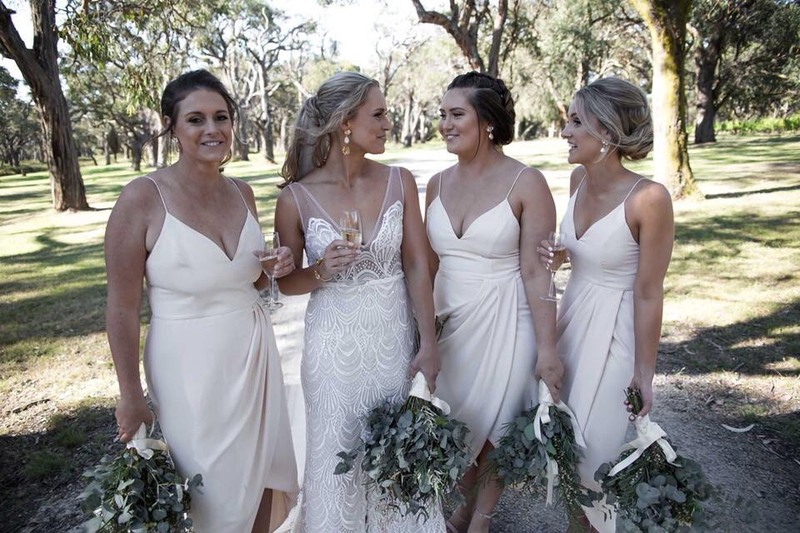 Recently, our amazing Lucy had the pleasure of doing ALL the wedding hair (well, for all of the bridal party anyway) for her sister in law’s wedding… and it’ssafe to say it’s got us dreaming of all things bridal hair. Planning a wedding can be one of the most amazing things you’ll ever do – as well as the most stressful! There’s so much to think about from your dress, to the venue, to the guest list, it can feel very overwhelming. It’s important to be organised and stay on top of everything, including your hair! There’s no denying that, thanks to social media, there are so many places to turn to for hairdo inspiration but it’s the other little things that hardly anyone talks about – when should you wash your hair? What hairstyles will still look great in 20 years time? What products should you use on the day? Your wedding hair plays such an important part in your overall look so there are a few tips and tricks that will make it that much easier to look every part the gorgeous bride you are. There’s nothing wrong with wanting to colour your hair for your wedding but it’s best to do it at least a month in advance. This gives the colour more time to soften up and look more natural. Also, should a hair disaster occur, you have plenty of time to fix it up before the big day. We suggest avoiding any drastic hair changes too close to the wedding in order to avoid a hair tragedy! This is one of the most overlooked tips but it can really make all the difference. While it’s fine to shampoo your hair the day of the wedding, we strongly suggest skipping the conditioner. On a regular day, conditioner is fantastic for making your hair silky and smooth but on your wedding day, not so much. Your hair needs to be manageable and able to stay put for the whole day. Conditioner will only cause it to slip and slide all over the place and make it very difficult for your stylist to manipulate and control. We know that it might seem obvious to have a hair trial but it’s always one of our biggest tips – after all, practice makes perfect! It really is important to get to know your hairstylist and try out any styles you have in mind. The last thing you want is to have your stylist turn up on the day of the wedding with no prior knowledge of your hair or what style you’re after. It’s even important for them to consider things like your dress style and whether your ceremony is indoors or outside. One of our favourites tricks is to actually time your hair trial once you’ve decided on the final look. This way, on your big day, you know exactly how much time to dedicate to having your hair done. This will not only ensure everything runs smoothly but also that you are not sitting there stressing about how long your hair is taking!